Roche has teamed up with Chiasma to develop and market Octreolin, Chiasma’s investigational treatment for growth hormone disorders. Octreolin is oral form of the peptide octreotide, a somatostatin analogue which is currently only commercially available by injection and is marketed by Novartis as Sandostatin. The drug is currently in a Phase III clinical trial for acromegaly, a disorder that occurs when a person’s pituitary gland produces excessive growth hormone. 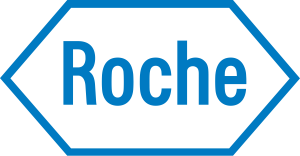 Under the terms of the collaboration, Roche’s Genentech unit will pay upfront fees of $65 million, and additional milestones of up to $530 million, plus double-digit royalties on net sales of Octreolin. Chiasma will continue development through completion of the Phase III trial. The drug will later be studied for neuroendocrine tumours.